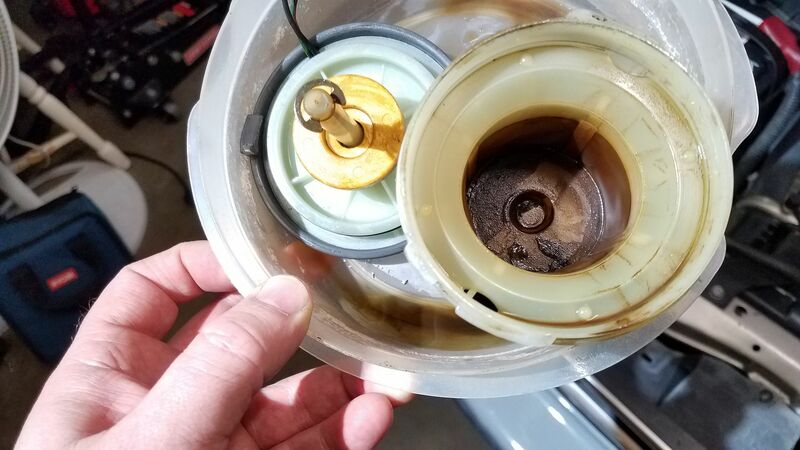 I'm pretty sure my brake fluid had never been changed in 25 years...and the master cylinder reservoir was so dirty and stained that I could barely read the fluid level. I haven't seen this covered elsewhere, so I thought I'd do a quick write-up. It's about as low-tech as you can get. There may be a more proper procedure out there, but this worked fine for me. I got a brand new reservoir online for under $20. I used DOT3 synthetic fluid (my Accord lives a pretty laid-back life) - a single 32oz bottle was enough. Use DOT4 if you're fast and/or furious. Really a 2 person job but I suppose 1 person could do it. Jack up car, put on stands and remove all 4 wheels, e-brake off. Put rags under reservoir area & a drain pan to catch any drips. Use a gravy-free turkey baster to remove all fluid in reservoir. Once completely empty, loosen hose clamp at base of old reservoir (10mm), and pull/twist the empty reservoir straight up and off. 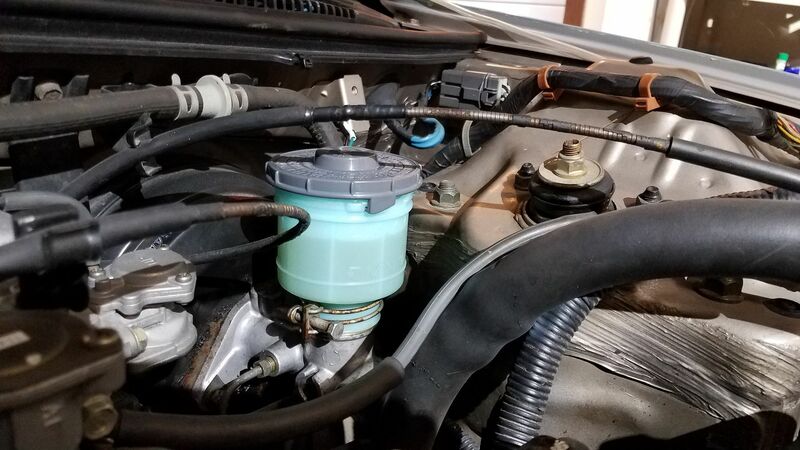 Top off new reservoir with new brake fluid, and follow normal procedure to bleed the brakes (left rear, right front, right rear, left front). I think the front bleed screws were 10mm, the rears were 8mm. This is where the 2nd person is helpful to pump the brake as you go around with the bleeder & keep the reservoir from running dry. Restore fluid level to where it should be (between lines, remembering you probably don't want it all the way at MAX due to normal pad wear). Remove/discard old cap by disconnecting the 2 old reservoir cap wires (bayonet type connectors under rubber insulators which will probably dissolve in your hands). Attach new cap & wires - put heat shrink tubing over connectors & use heat gun to shrink. Unfortunately, the rest of your brake system may look like that on the inside. i used 2 cans of wood alcohol to flush the whole circuit when I overhauled my brakes...the crap that came out..the crap inside the calipers..hooowee! Under any circumstances do not use petroleum based products with the braking system, Unless specifically stated for use with brake systems.